The digital system controllers by Omnitronic prove it: Technology “made in Germany” can still be inexpensive and reliable at the same time. Not only were they developed and assembled in Germany. The DXOs also offer all functions that can be expected from a DSP-based loudspeaker management system: The signal routing can be flexibly adjusted to all standard PA applications based on various stereo and mono setups. 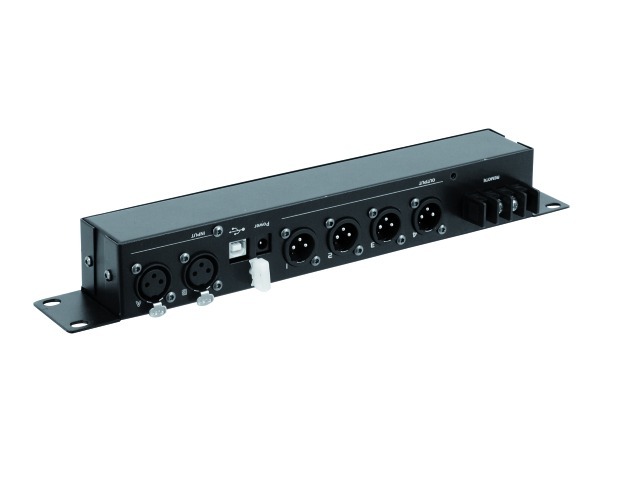 The common frequency filter types Bessel, Butterworth and Linkwitz-Riley are available for splitting up the audio signal into a maximum of 4 (DXO-24E) and 6 (DXO-26E) output channels respectively. The slope of each filter can be selected in steps from 6 to 24 dB/octave. 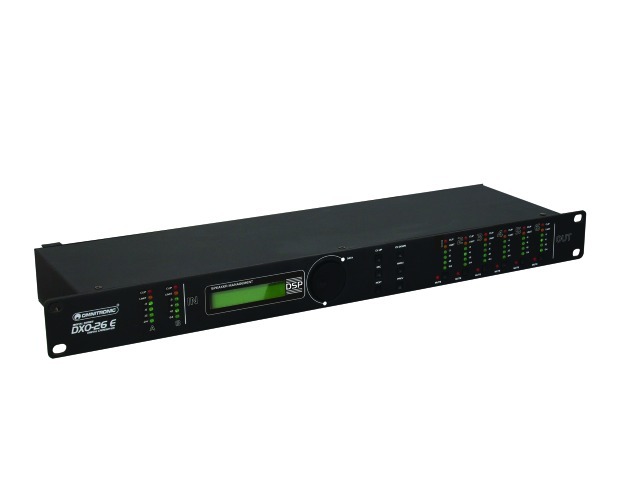 The unit offers 7 full-parametric EQs, phase adjustment, and a limiter per output. 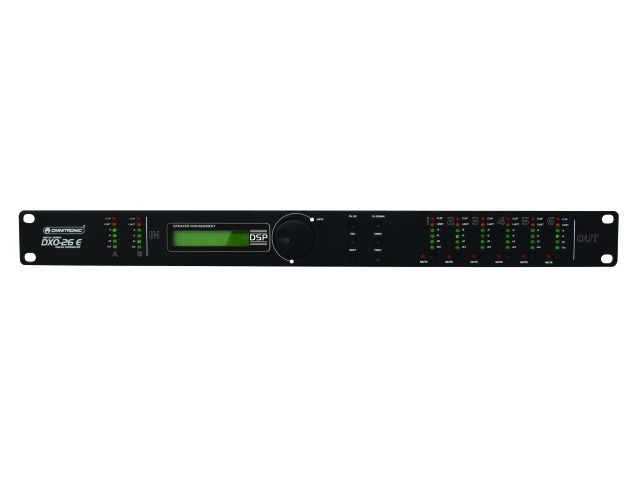 Additionally, a delay function of up to 7 msec per signal path is included in case of differences in running time for different speaker distances. 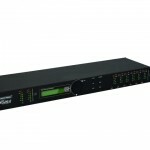 The supplied PC software allows convenient control of all functions via a computer and serves as administration tool quasi for an unlimited number of user presets. The software is constantly being developed and enhanced with additional functions. 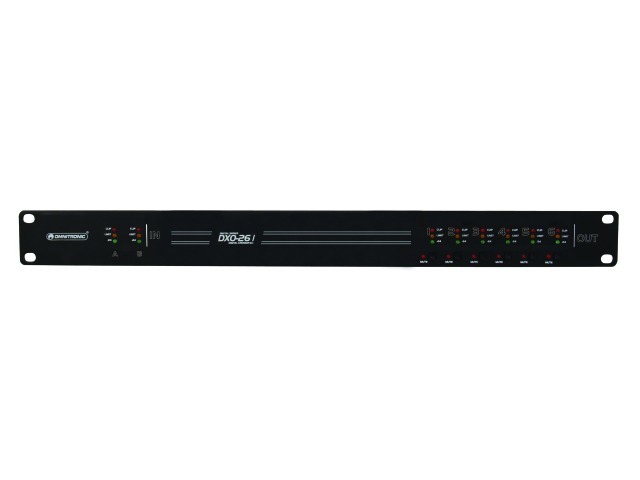 Frequency crossovers and equalizers can be constantly monitored and modified with a clear graphical display. The software automatically recognizes which unit is connected and calls up the matching user interface. With the DXO-26I, a special version was designed for permanent installation. This version can only be controlled with the PC software and thus is protected against manipulation. The controller corresponds to the DXO-26E in all its functions. It is intended, inter alia, for use in shops, restaurants, conference rooms, and other event locations. For locations with fixed systems, where it’s not always possible to have personnel monitor the technical equipment. 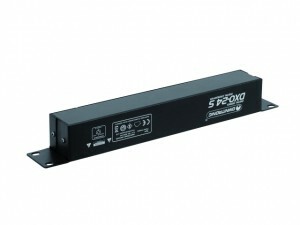 The smallest model of the series is the DXO-24S which is an even more inexpensive alternative. Just as with the DXO-26I, the control elements were left out here as well. Access is only possible with the software. 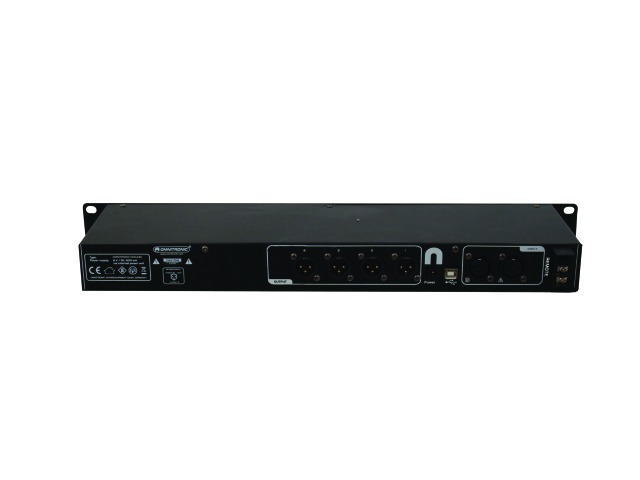 Compact dimensions enable installation on walls, below counters, or at other locations where rack installation is not an option.